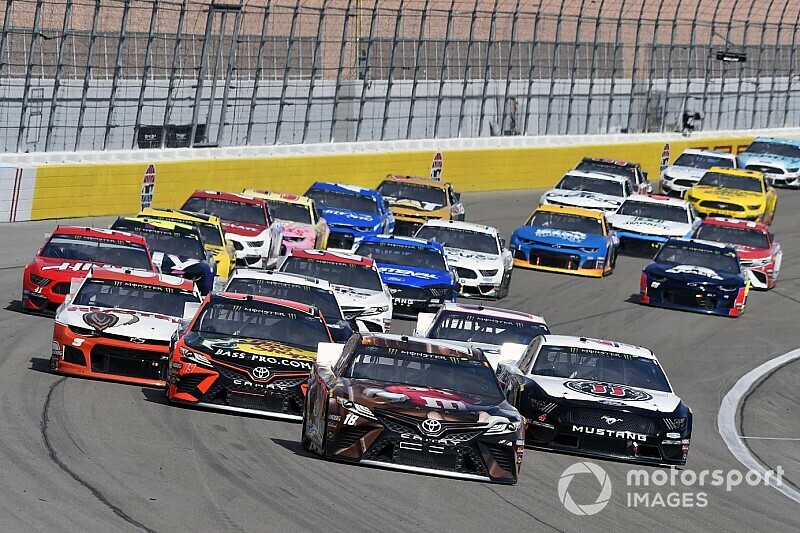 Las Vegas Motor Speedway was the first race with the complete new rules package for the Cup cars. What was your thoughts on the race? Jim Utter: I found it a very entertaining race, especially considering the race went virtually caution-free (except for stage breaks). When you consider the race ended on a 100-lap green-flag run and there were still four cars in the hunt for the win to the end and the race winner had to ward off a last-lap, last-turn pass for the lead, I'm not sure it can get much better than that. The best teams still finished up front. The package didn't change who was in contention but seemed to make the action on the track more compelling. Nick DeGroot: So here's the problem. The race was an improvement from last year and overall, a solid race with a close finish. 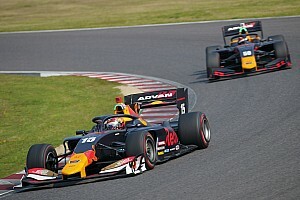 But with the way this aero package had been built up, it turned out to be completely not what those tuning in expected. There was talk of pack racing, breaking records for lead changes and the leader unable to ever get away. Instead, they got a slower version of past races where the cars were more planted drafting became more important. In the end, it created closer racing but was it really better racing? 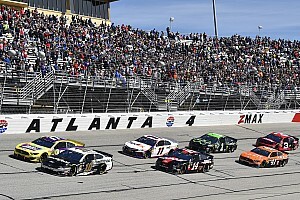 It's a step up from 2018 but not where they want to be, and I was happy with NASCAR's response as they don't seem satisfied and will continue to work to improve the package. Tim Southers: I thought it was a decent race. I will say this first: You don’t need cautions in a race to have a good race. I admit I was worried in the first stage as it was pretty familiar to most races on an intermediate track, but I thought the second and final stages of the race were pretty good. 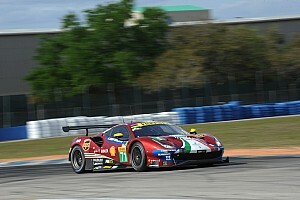 We saw more passing overall in the race and a close finish which is what I thought people wanted. As NASCAR stated after the race, this was just one race and they will keep working on the package. I think they are off to a good start. 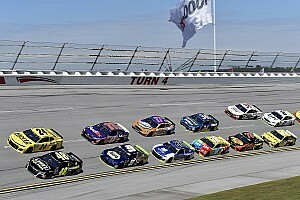 How surprised are you that the Ford Mustang is running as strong as it is to start the season? Jim: Perhaps because of the difficulties Chevrolet had last year with the debut of its Camaro, I did expect a learning curve from Ford with the Mustang. But right now, it's the rest of the series that seems to be learning from Team Penske and Ford how to get a handle on the new aero package. Penske already has two of its three teams locked in the playoffs and Kevin Harvick looks just as fast as last year and I expect him to find his way into Victory Lane any week. Ford has been quite impressive out of the box. Nick: Yeah, they have come out of the box swinging. Both Team Penske and Stewart-Haas Racing look strong and I think a lot of it has to do with the new aero package. 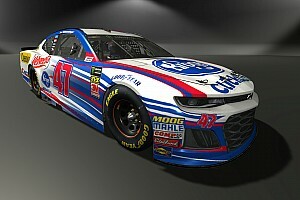 Unlike last year where Chevrolet was at their own starting point bringing in the Camaro, everybody is sent back to square one with this package. I think that allowed Ford to get away with switching to the Mustang without losing a step as they and everyone else works to get their arms around the new rules package. Tim: I honestly thought Ford might have a learning curve to battle much like the Camaro had last year but I’ve been proven wrong. The new Mustang for the Cup Series has proven to be fast right out of the gate and I don’t see any reason for it to slow down throughout the season. Team Penske has already won back-to-back races and Stewart Haas Racing cars appears to be really fast so it looks like it could be another good year for Ford. ISM Raceway has been a track Kevin Harvick has dominated at over the past few years. After leading a bunch of laps over the past two races without winning a race, do you feel he's the favorite entering the race this weekend? Jim: Harvick would likely be a favorite at Phoenix even if he had struggled so far this season. However, as I pointed out before, he and his No. 4 Stewart-Haas Racing team appear to have just as much speed as last year and once they iron out some details and can close races strongly, he'll be joining Keselowski and Logano as locked in the playoffs. Phoenix is as likely a place for that to happen as any. Nick: Absolutely. Kevin Harvick has become one of the favorites almost every week now, but especially at Phoenix. It's a track he just gets, like plate racing for Dale Jr. or Bristol for the Busch brothers. I expect the No. 4 to be the car to beat on Sunday. Tim: He’s led laps in the last two races and has speed in his car so things are looking good for Harvick. Then if you look at his resume at ISM Raceway - nine wins in 32 starts with 21 top-10 finishes - by far the most wins he has at any track. Harvick and I think several other Ford drivers could be listed as a favorite this weekend. John Hunter Nemechek finished second in the Xfinity Series race at Las Vegas and has already scored two top-10 finishes with his new team this year. Do you expect him to challenge Christopher Bell for the championship? Jim: I think Nemechek can become a contender for the championship but he's going to have to start leading laps on a more frequent basis to get himself in the position to win races. He has yet to lead a lap this year, though he did finish second last weekend at Las Vegas. Bell is going to be knocking on the door to Victory Lane a lot this season and if someone is going to seriously challenge him, they are going to have to run up front on a regular basis. Nick: Nemechek is solid enough to be a contender, but I'd call it wishful thinking to go head-to-head with Bell. He was just so quick last year and seems to only be getting better. Tim: As I said a few weeks ago, I think the Xfinity Series title will have to go through Christopher Bell, but I also feel John Hunter Nemechek has the talent and the team to contend for the title. I think he’ll need to run up in the top-five a little more frequently to be able to contend for wins and I think he’s more than capable of doing it on a regular basis. He’s with a new team and I feel once they get comfortable with one another they will be contenders for wins on a regular basis.